Lidl is situated currently on Spinning Jenny Way, a 6.04 mile drive south-east of the centre of Wigan, in Leigh (near to Spinning Gate Shopping Centre and Leigh Bus Station). The store provides service principally to the areas of Astley, Hope Carr, Marsland Green, Westleigh, Pennington, Tyldesley, Leigh Town Centre, Atherton and Higher Folds. If you plan to drop in today (Friday), it is open 8:00 am to 10:00 pm. This page will give you all the information you need about LIDL Leigh, Spinning Jenny Way, including the working times, store address details, customer feedback and additional significant details. Lidl is situated in a good space right near the crossroads of Spinning Jenny Way and Derby Street, in Leigh, Wigan. Simply a 1 minute trip from Chapel Street, King Street, Twist Lane and Holden Road; a 3 minute drive from Atherleigh Way, Manchester Road and Wigan Road; or a 15 minute trip from Junction 15 (Worsley Braided Interchange) of M60/Manchester Outer Ring Road. For drivers using Sat Navs to get to this location, enter the postcode WN7 4PF. It is within a short walk from the bus stops at Spinning Jenny Way/Tesco and Leigh Bus Station. The most convenient way to get here is by routes 19, 26, 28, 34, 126, 516, 517, 518, 582, 583, 584, 586, 588, 589, 593, 594, 595, 596, 597, 598, 658, 673, 682, 683, 684, 695, 28A, 28E, X34 or Vantage V1. Customers may get here from Atherton Train Station (2.76 mi) and Newton-le-Willows Train Station (5.69 mi away). The easiest lines to get here are: East Midlands Trains, Northern, Transpennine Express and Arriva Trains Wales. Within a short walk you may find Spinning Gate Shopping Centre, Leigh Bus Station, Pennington Golf Course, Lilford Park, Parsonage Retail Park, Leigh Business Park and Westleigh High School. LIDL has 4 stores in Wigan, Lancashire. 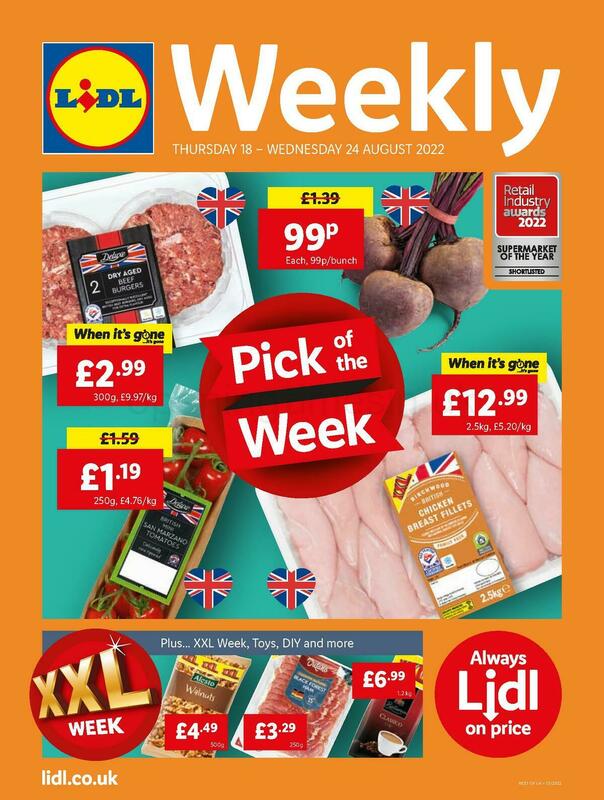 For more LIDL locations near Wigan, click here. UK national holidays may cause restrictions to the usual business times for LIDL in Leigh, Spinning Jenny Way. In 2019 it pertains to Christmas, New Year's, Good Friday or Black Friday. For further info about the seasonal working hours for LIDL Leigh, Spinning Jenny Way, go to the official website or phone the contact number at 0800 977 7766. The Opening Times in the UK team's hope is to supply you with the latest information as possible. If you have found that the place of business address or opening times for LIDL in Leigh, Spinning Jenny Way are incorrect or have changed, please use this form to report a problem. Opening Times in the UK encourages you to share your critique of LIDL which might assist other patrons in their retail decision and provide them with further information.